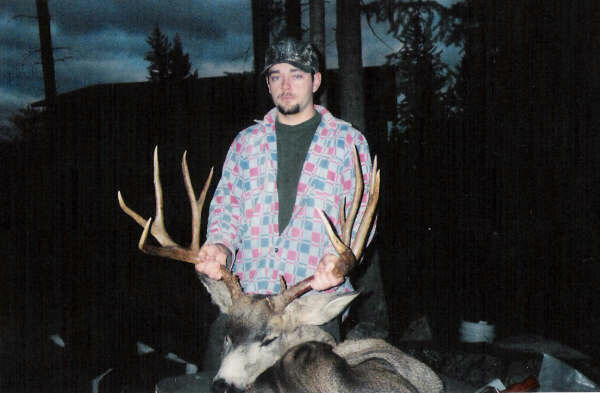 Nice mule deer! How wide is he? Nice deer its huge, i took a 8 pointer from 130 yards this year, i am only 14 and i have killed 20 deer.